Want to add just a bit of color across the top of that special window with a spectacular view? Impeccably tailored for a clean-lined finish, our Silkara Lined Tailored Insert Valance may be the perfect choice. Available in an array of colors, including including neutrals, pastels, and rich jewel tones, these stylish and versatile valances may be hung alone as pictured above or over blinds and shades when there is a need for light control and privacy. One tailored valance will cover windows up to 40" wide. For wider windows, or if you prefer more gather, add on additional valances. Silkara Lined Tailored Insert Valances may also be combined with Silkara Lined Tailored Swags (sold separately) to cover wider windows. (Insert valances between the right and left swag panels.) 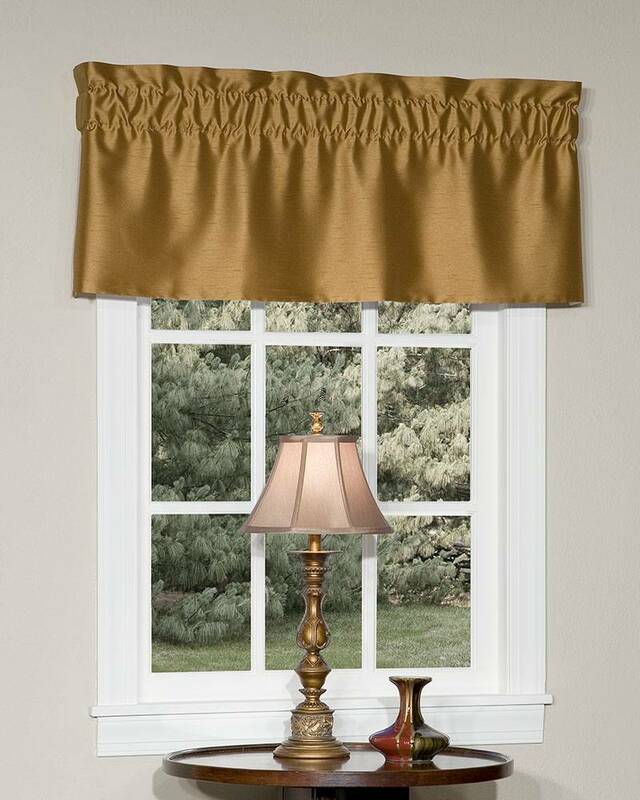 Valances are fully lined with cotton for enhanced weight and protection from harmful sunlight. A Pretty Windows exclusive. Made in the USA.